The Kelowna and District Safety Council Society is a registered charity dedicated to promoting safety awareness and accident prevention within Kelowna and the surrounding communities by educating the public about a variety of safety issues and through the provision of safety training. KDSC also cooperates with other like-minded organizations in an effort to reduce accidents and injuries. Assist the Kelowna and District Safety Council in raising funds for the Little Travelers Safety Village through the selling of tickets for the annual raffle ticket fundraiser. 4 hour shifts. Times vary during weekends, days or evenings from April 13 to August 13 at various locations. The children’s events volunteer is to assist to provide children a fun and safe experience during events. The volunteer will work closely with the program coordinator. •	Dates and times vary. Dates are throughout spring, summer and fall. 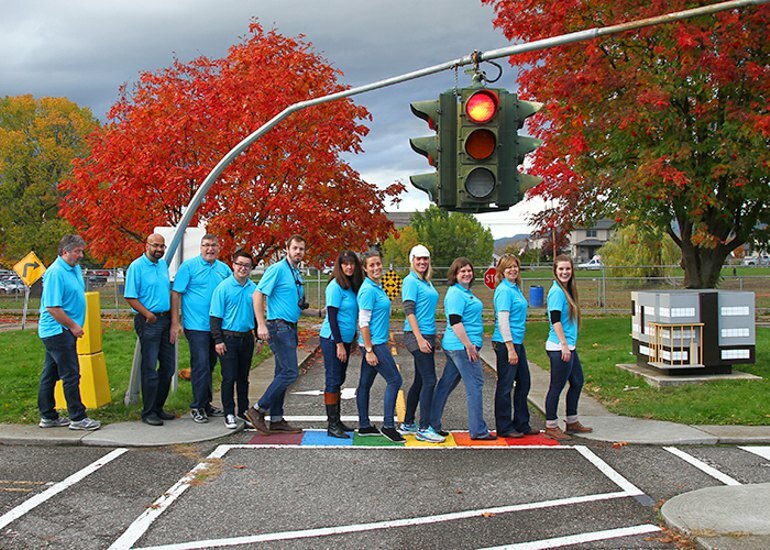 Volunteers could be responsible for a variety of tasks depending on their interest and experience: help to plan events, set up and take down of events, provide assistance with children while riding in our pedal cars during events, coordinate donation items, operate booths, and participate in a parade.